St Andrews, the Home of Golf, has honored the Ryder Cup Wager, and today is flying Pinehurst No. 2’s pin flag on the 18th hole of The Old Course. The maintenance crew was ready first thing this beautiful Scottish morning to roll out to the 18th hole. In 1951, Pinehurst No. 2 was the site of the Ryder Cup, very much a different event then than it is today. The Americans, led by Sam Snead and Ben Hogan, had little trouble dispatching the British team 9 ½-2 ½. While it has been 65 years since Pinehurst hosted the Ryder Cup, we still feel a lasting attachment to one of golf’s greatest events. 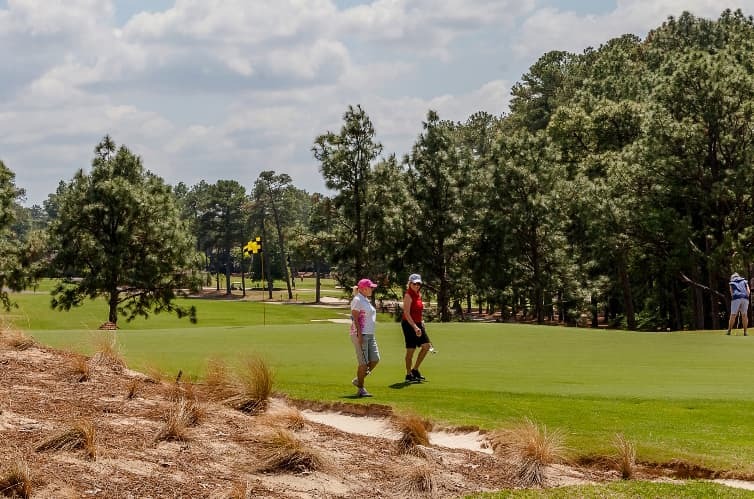 It’s a proud moment in the storied history of Pinehurst. Now, though, came a chance at another Ryder Cup moment for Pinehurst – and for The Old Course at St Andrews. It was the RYDER CUP WAGER.